Spontaneous subarachnoid hemorrhage (SAH) is a medical emergency characterized by hemorrhage in the subarachnoid space surrounding the brain. In the vast majority of cases (85 %), spontaneous SAH is caused by the rupture of a cerebral aneurysm (aSAH) . The other 15 % are idiopathic and two-thirds of these have a characteristic appearance on computed tomography (CT) and are called benign perimesencephalic SAH (pSAH). The characteristic sign of aSAH is a sudden onset of severe “thunderclap” headache, but patients may also present with vomiting, nausea, photophobia, and nuchal rigidity . A cranial CT scan demonstrates accumulation of blood in the basal cisterns (see Fig. 10.1); patients may also present with hemorrhage into the brain and ventricular system . Hypertension and cigarette smoking are risk factors for aSAH . Although uncommon—the incidence of aSAH in North America is approximately 8–11 per 100,000 persons per year [4, 5]—aSAH carries a poor prognosis, with only 35 % of patients surviving [6, 7]. 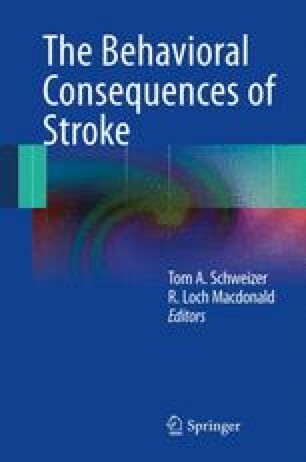 Indeed, although aSAH accounts for only 7 % of all strokes , it is responsible for 27 % of all stroke-related years of life lost before age 65 . The high mortality after aSAH may be partially attributed to misdiagnosis. Up to 50 % of cases are misdiagnosed as migraine or tension-type headache due to failure to obtain lumbar puncture or proper neuroimaging . Despite these statistics, advances in the acute management of aSAH over the past 3 decades—mainly increased use of vascular imaging, reduced delays to treatment, and better acute care management —have substantially reduced mortality after aSAH. In a meta-analysis, Lovelock et al. observed that, while the incidence of aSAH has remained stable over the past 30 years, mortality has been reduced by half and the 30-day case fatality rate has decreased by 0.9 % per annum (Figs. 10.1 and 10.2).